Hand Drawn Vector Abstract Template Card Hello Lettering For Greeting With Arrows,retro Roller Skates,pineapple Smoothie,and Black Brush Rainbow.Summer Abstract Textured Outdoor Fun Illustration. Клипарты, векторы, и Набор Иллюстраций Без Оплаты Отчислений. Image 116035467. 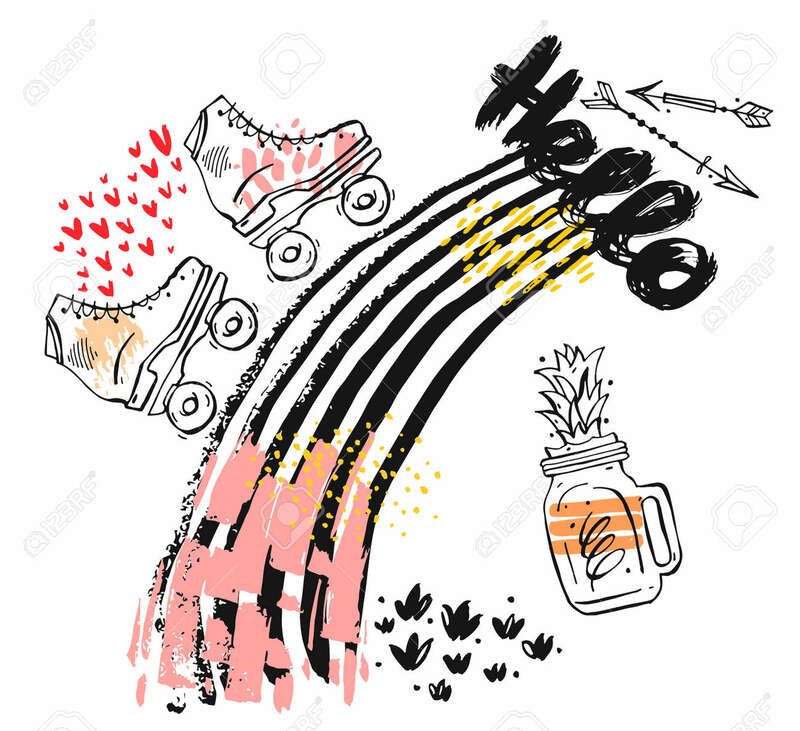 Фото со стока - Hand drawn vector abstract template card Hello lettering for greeting with arrows,retro roller skates,pineapple smoothie,and black brush rainbow.Summer abstract textured outdoor fun illustration.